MVPC was invited recently for a sit down with Kate Bartley from WHIO-TV to discuss quite a few things about the American Pit Bull Terrier, their bad reputation, what we think is causing that bad reputation, and what we think we can do, and are doing, to help the breed as a whole. The unfortunate downside to doing interviews, is often, the interview is edited in a way that makes it seem as though it’s something that it’s not, as was the case here. We have brought our disappointment to Kate’s attention. She has promised us another sit down at a later date to try and rectify this wrongly edited piece. 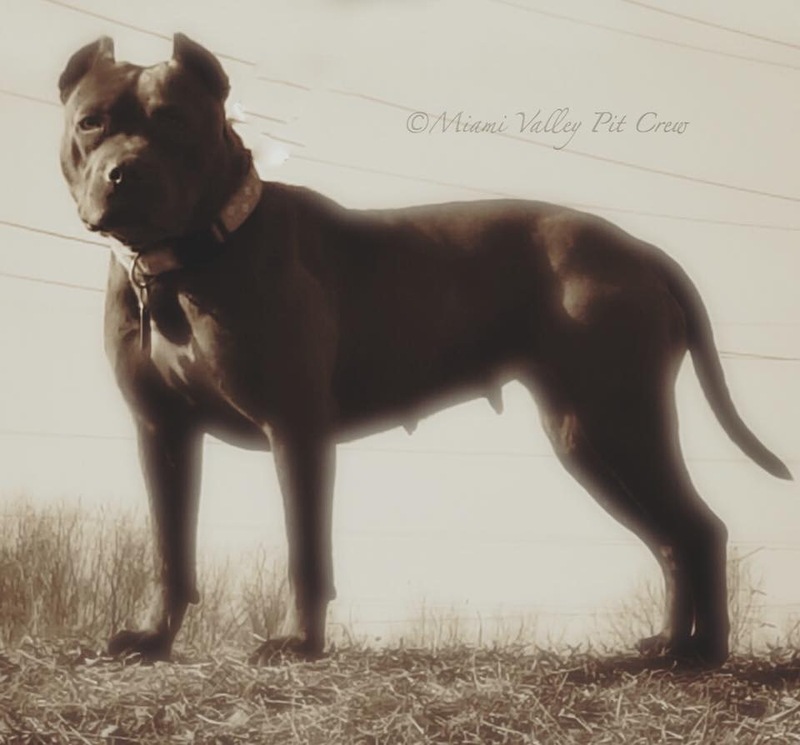 In her defense, she was only given 2 1/2 mins to get everyone’s side, but we feel the story was heavily leaning more towards the breed being dangerous, and less towards us working tirelessly to change the breeds perception in Dayton. Popularity of the breed has caused, in large part, the demise of the reputation of the breed. 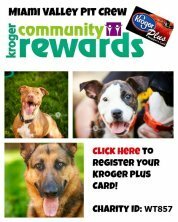 Whenever a breed becomes wildly popular, that leads backyard breeders to cash in on the supply and demand, meaning more and more dogs filtering into the system, and the dilution of breed standard temperament from inbreeding, and/or from breeding 2 dogs that should not be bred, for various reasons. The outcome is a flood of poorly bred dogs, ending up in the wrong hands, in shelters, or with people who aren’t prepared for this type of dog. The American Pit Bull Terrier was originally bred in the United Kingdom for bull bating, due to their strength, tenacity and drive. In the early 1800’s this was outlawed, the breed migrated to the United States where it was then bred to be a working dog, primarily used as cattle drivers, and family dogs. Like any other breed of dog, there have been some selectively bred for dog fighting, however, these traits will eliminate a dog in confirmation. UKC temperament standards for the American Pit Bull Terrier are: strength, confidence, zest for life, an eagerness to please, friendliness and enthusiasm. ANY sort of human aggression is a disqualification. This sure doesn’t sound like what the media wants to portray these dogs as, and something we are working really hard to change, but we need their help, and yours. Their eagerness to please their owners has been their demise. You CANNOT train a dog to fight. They either have it in them, or they don’t, and when they do, simply grooming those traits, whether by encouraging that behavior, not correcting it, or exacerbating it by setting them up repeatedly to exhibit those behaviors and rewarding them, is all it takes to mold a dog into doing what you want it to be -both good and bad. 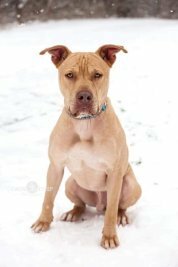 Dog fighters selectively breed their dogs with these traits, just like selectively breeding for color, a specific job, and temperament with all breeds. These dogs were NEVER “nanny dogs”. That’s a myth that everyone likes to use when debating with people in an attempt to change their minds. If you say this - STOP IT. This term was coined in response to early turn of the century pictures that feature the American Pit Bull Terrier with a bevy of children in tow. They weren’t babysitters. They were loved family members who contributed greatly to life on the farm. Dogs aren’t capable of watching children. They’re dogs. They were never nanny dogs. That’s a load of crap that has early lovers of the breed turning in their graves. Stop it. They’re awesome with children, but not meant to be relied upon to alert you when Timmy falls in the well. ALL DOGS SHOULD BE SUPERVISED AROUND CHILDREN AT ALL TIMES. PERIOD. If we had to pick just one thing as a means to an end, we would pick early socialization as that one thing to changing the perception of the breed. The very close second would be mandatory spay/neuter to reduce their numbers to something a little more manageable, eliminating the sheer number of these types of dogs being euthanized and exploited daily across the country. This isn’t “training” a dog. These are 2 separate, very important things. Socializing is safely and productively exposing them to different stimuli that they will encounter throughout their lifetimes, starting at 8 weeks old. A really good rule of thumb in successfully doing this is exposing them to “100 places in 100 days”. We do this around here, and there’s never a “too late” to start. Even adult dogs can overcome their fears and anxiety if exposed to things the proper way. More often than not, people purchase or adopt these dogs, and are clueless on how to handle them, so they chain them up outside, abuse them, dump them, turn them loose, all eventually leading to their demise. Hiring a good trainer, working with a rescue like ours who gives back to the community for the benefit of these dogs, doing your research, helping those in need and reaching out for help yourselves, is the first step in fixing this problem. Mandatory spay and neuter will significantly reduce the number of unwanted litters of puppies. If YOU are breeding your dogs, STOP. You are pumping copious amounts of puppies into an already overcrowded system, who in all probability will end up dead. You have no control over where those dogs end up once they leave you. This world is NOT rainbows and granola. Come out from behind the sunshine and see it for what it’s worth. Telling yourselves that “you know” where your dogs end up is a lie. You don’t. We do, because we get those emails every single day. Lastly, how these dogs turn out has very little to do with “how they’re raised”. Please stop saying that. Comments such as these, FLOODING news posts such as the one on WHIO’s Facebook page, do absolutely nothing to further our mission. Shelter and rescue dogs are not broken. Most of the adult dogs we pull into our program have been “raised” in the worst conditions possible, but with a little bit of love, guidance, socialization and training they turn into amazing ambassadors for the breed. The dogs of the Miami Valley Pit Crew are here to tell you, they were meant to do great things. We simply gave them the platform. THEY did the rest. PLEASE be responsible in loving these dogs. Do the right thing, and afford them the opportunity to do great things by socializing, training and altering them. If you need help, contact us. We will help you! When your dogs shine, that’s argument enough for those who hate them.